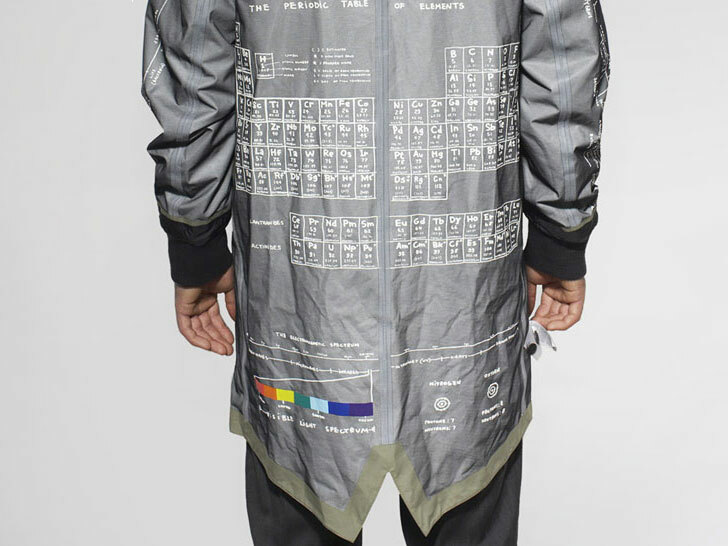 Nike transforms air bags and astronaut suits into space-inspired sportswear via New York City artist Tom Sachs... "Born from the dynamic between Tom Sachs' D.I.Y. 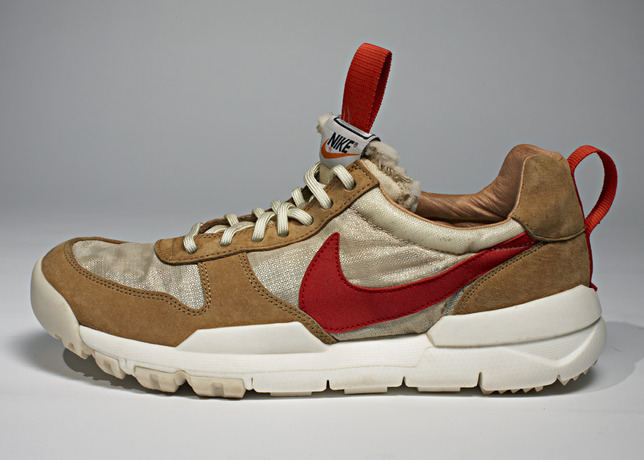 aesthetic and the wide reaching Nike brand, comes an artisanal capsule collection, NIKECraft." 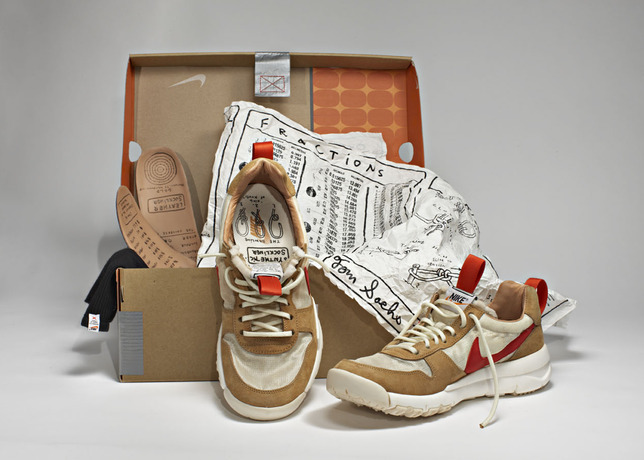 "... the Tom Sachs: NIKECraft collection - The Mars Yard Shoe, the Trench, The Marsfly Jacket, and the Lightweight Tote. 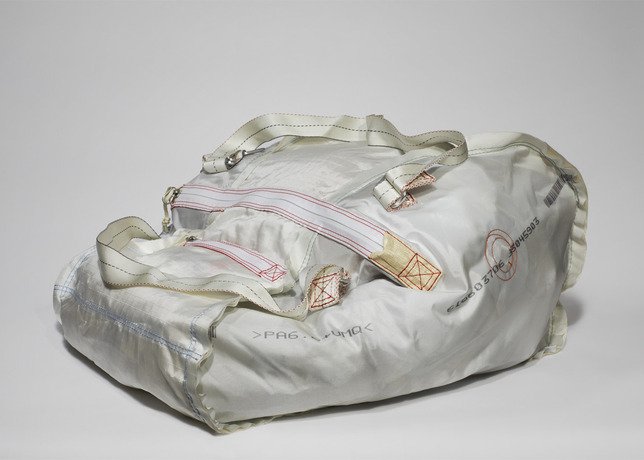 Nike design and Sachs applied materials that have never been used in sportswear, taken from automotive air bags, mainsails for boats and the space suit itself. 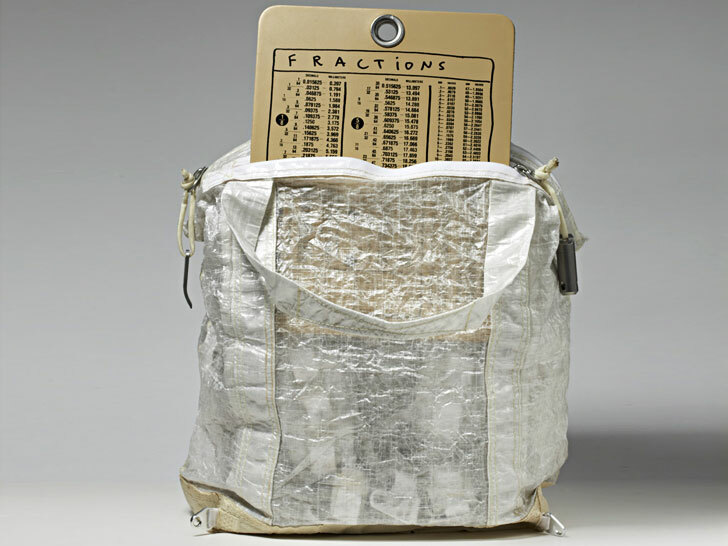 Each piece is packed with functionality that would prove useful in the voyage through space. 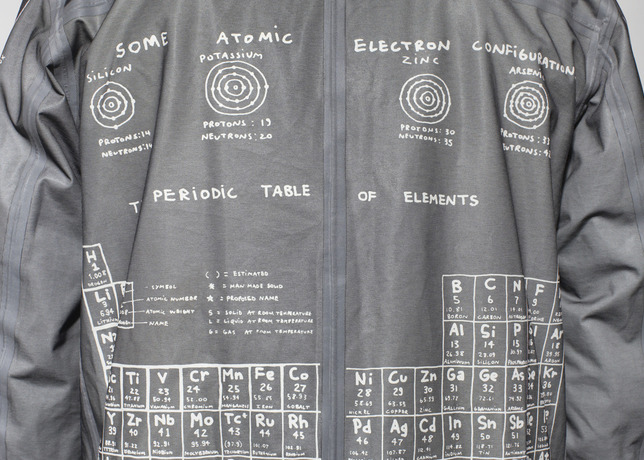 Zipper pulls that double as storage containers, paracord that can be fashioned as a tourniquet and embellishments like the periodic table of elements screened on the inside of a jacket - they all merge visual interest with purpose."